What is Shamanic Healing and How It Help Resolve Your Inner Turmoil? 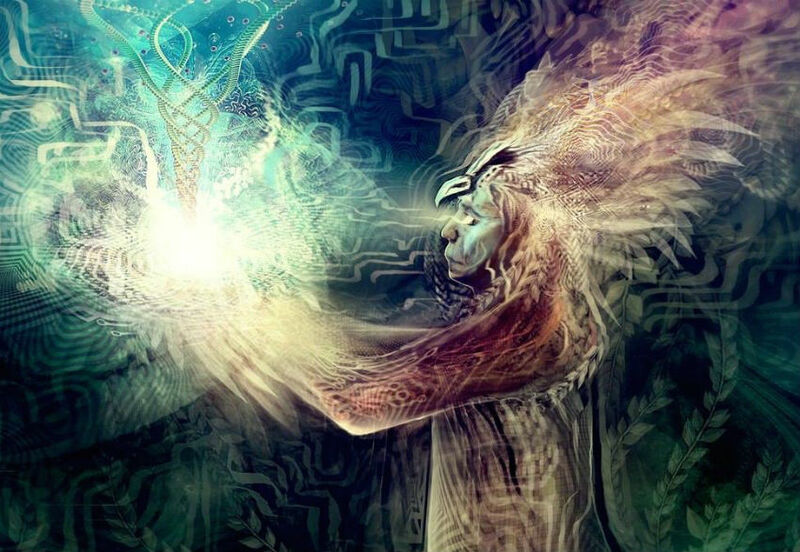 This article is about what is shamanic healing, also called shamanism healing, what does it do and how can it help you achieve the long-lasted balance in your life. We are energy. We are energy beings embodying a physical body. Shamanic healing is working with you as an energy entity. In the context of shamanism, it’s spirit with spirit. There is either energy outside of you that needs to be brought back because it’s an inseparable part of who you truly are. Or there is energy inside you that its place isn’t there and needs to be taken out. You can’t undergo shamanic healing purely out of interest. A shamanic healing happens when your soul sends you the message you need it. What matters when you want to receive a shamanic healing is your actual need of it. The reason why you need it pretty much comes second to the size your soul is yearning for to be healed. This feeling, this yearning is an expression of how great your soul wants to experience completeness again. This need is what will drive the shaman journey on a person’s behalf. 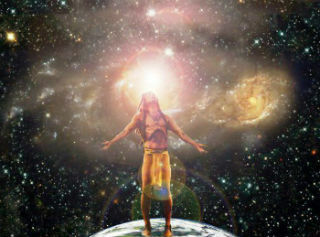 A distinctive feature of shamanic healing from other types of energetic healing is the journey of the shaman. 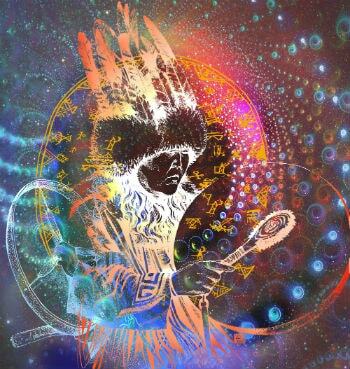 The shaman healer is the one that will aid you in restoring the equilibrium of your scattered energy. 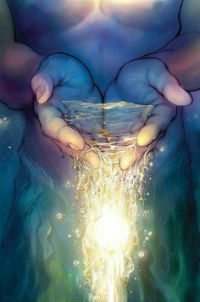 Sometimes, the healing is nothing more than the person’s energy to flow more smoothly and to be more in balance. From a shamanic perspective, being ill or having an illness is about your energy being out of balance. Our Source created us to be in the Flow all the time. But, as time goes by, our stay on Earth can cause us to forget this fundamental Truth and in turn become to attached to things or have a lot of fear which interrupts the Flow. What a shamanic practitioner does is to help an individual find what part of him is out of balance and return it to its essence. That’s where the role of the shaman healer comes into play. His mission is the find how much your soul is suffering and heal it. The healing transcends our 2D reality. The process happens in the energetic body and often in spirit, mental or emotional bodies and sometimes even in the physical body. Finding Where is The Problem. From a spiritual perspective, our being is encompassed of several levels. The first one is matter – our physical bodies which are made of matter. Then is the mental and emotional bodies which are greater and more energetically powerful than the physical body. Last comes the soul, your Spirit which is larger than all that and is most potent. You need to take care of a problem whenever it’s in the mental or emotional realm before it intensifies and manifests on a physical level. Why when an individual has surgery or procedure to fix a physical problem it will return later in life? The reason for this is that the energy, the imprint so to say is still there and will eventually reassert on the physical body. A shaman needs to find where the problem is in our energy body, heal it, so it doesn’t continue to manifest over and over again. There are other kinds of ways in which a shaman often work. Sometimes the problem that shows up is not necessarily from right now. It can date back to an incident from childhood where an abuse of some kind has happened. Whenever such event occurs that shakes us from the inside-out, we lose a part of our soul. And later in life, when we are adults, we will always have this feeling that there is something wrong in our life and needed to be done. But what will happen is that we will either lack the energy to do it or never find a way to make the right decision. That’s where shaman’s role comes into play. To heal that missing part of our soul one has to go on a soul retrieval to find it and bring it back in his current life. How Shaman Healing is Done? After you found what is shamanism healing, you’re ready to learn how shaman is done. Shamans can tap in the spiritual dimension and see how your life has developed. They will then search and find the part of your soul you lost once in a so–called “incident” and integrate it back again. Envision it as a younger aspect of oneself, a child or us in that particular moment of our life where we lost something. The latter will make a person retraumatize (experience over and over again) the same event, in many cases, without usually going to the bottom of things. In many cases, because it’s too painful for the person’s psyche to bring in the conscious what happened. You can do a part of the soul retrieval yourself. Essentially, what that involves is your being able to go back to that place, to that incident in time and relive it with your whole essence. Imagine all the possible sensations you can recreate in your memory – colors, looks, smells, dialogue, and feelings. Relieve that event. And having done that then you can change make things turn out differently. What’s essential is you to reclaim the energy of that experience. Remember you lost some power at that event and going back there and changing how the script enrolled won’t do it all. You need to reclaim back the energy, bring it back, and integrate it as part of your soul again. That’s why your soul tells there is something wrong. Because you have lost that energy and now need to get it back. Knowing what is shamanic healing and how it can influence your life is a breath of hope for many people. Some events might be harder for an individual to go back and reclaim his energy back. If that is the case, then meeting a shaman healer might be the needed step to healing your trauma. There are also other ways to heal broken parts of you. DMT, ayahuasca, Ibogaine are plants (except DMT) which our ancestors used to communicate with the spiritual world and solve their problems.